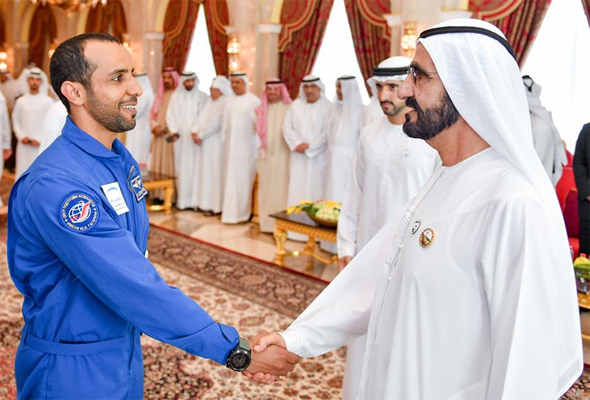 Ahead of the first UAE astronauts mission to space in September, HH Sheikh Mohammed bin Rashid Al Maktoum Vice President of the UAE and Ruler of Dubai has received the two Emirati astronauts at Za’abeel Palace. During the meeting on Tuesday March 5 with Sultan Al Neyadi and Hazzaa Al Mansouri, Sheikh Mohammed talked about the astronauts future journey and careers. It has already been confirmed that one of the two astronauts will be selected for a one-week mission to the International Space Station later this year, although it is still unclear which of the two will go. The Dubai Ruler was also briefed on the preparations and scientific training the duo are undertaking to be at the same level with the international peers for the September space mission. Before their departure, Sheikh Mohammed blessed their jouney and wished them success. He further highlighted the importance of investing in science and education, as well as training youth is a top priority of the UAE, as it counts on them to set strong and sustainable basis for prosperity and advancement, a statement from the Dubai Media Office read. 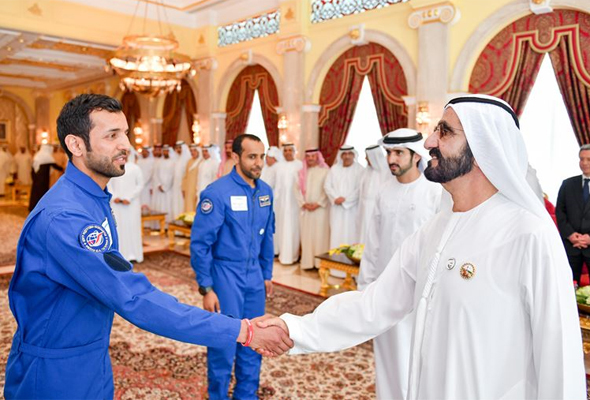 Crown Prince of Dubai HH Sheikh Hamdan bin Mohammed bin Rashid Al Maktoum, also attended the reception, his second meeting with the two astronauts. The two astronauts were selected from over 4000 applicants when the Mohammed bin Rashid Space Centre launched the UAE Astronaut Programme in 2017. The programme has become one of the most important projects of the National Space Programme. It was launched in April 2017 with the aim of establishing an infrastructure for the UAE space industry.